I broke a record, a 12-year record. And I won't tell you what. If you want to know, see Seinfeld's "The Dinner Party" episode and what happened to the black and white cookie. I've been sick and feverish and blogging while running a temperature could be humiliating for yourself, as well as your future generations. So sorry for my absence. I'll be back next week with my senses in tact, or at least no looser than usual. Pastor Craig Groeschel, in this week's lesson in his TRUEish series, said, "God doesn't want you happy...in these three categories in your life." Ravi Zacharias talks about truth. This is the sun of my universe: truth. Every time I hear the word, I feel my pulse quicken. And I can't even explain to you the reaction, the reason, only that it appears as if truth is dissipating slowly, like warmth in the midst of a bitter Northern wind, and so I'm seeking the heat. - "I am convinced whatever message God has for this generation, they are determined to change it and come up with the opposite." - "Intent is prior to content. And the question is: Does this generation really want the truth?" - "Political expediency stalks the landscape today. How in the name of reason can any sensible human being say, 'I personally believe it is wrong, but politically it is the right thing to do." Several years ago, on an evening when the darkness seemed thicker, heavier than usual and the weight of it dripped from my hair and dragged down my shoulders, I made a request to God, as well as a promise to accept the culmination of that request. Driving in my car, alone like I'd never felt and facing a trial of half-truths and misconceptions, I distinctly remember turning the corner toward my closet of a home in the middle of a dilapidated neighborhood where joy remained barricaded on the outside. This was the end of a tiring day, the end of a tiresome journey, the end of a future so real I had already written the check and never expected it to bounce. I had been lied to so many times, so repetitively over many years and many subjects, I was chocking on the plastic content of it all. So I asked God, "Tell me the truth. In everything. I want it. I only want the truth. I'm sick to death of lies, from anyone or anything. I want to know, 'What is truth?' And if truth turns my world completely upside down so that up is below and down is above, help me through it, give me truth, as much as I can stand." I restate that request often, sometimes every week, sometimes every day. It isn't easy, but it's life. Truth, even if it makes me an outsider or unpopular or hated or mocked, I want it. And I have every intention of sharing. I'm letting the celebrities and pundits and talking heads slobber over every inch of this Inauguration day. There are days to speak. Days to listen. Then, there are days to observe, quietly and with God as your only company. And...maybe a glass of wine. Or two. Today there is hope. There truly is. And it has absolutely nothing to do with Washington D.C. or Oprah or a man some want to crown King. But hope, real hope, is alive. It was yesterday, the day before, eight years before, thousands of years earlier, and every moment from then until the end. Hope came with one man, who will never die. And there is where hope resides. So tomorrow, definitely tomorrow, my comments and sarcasm and observations will return. But today, I think you need something more. 9 Before long the crooks will be bankrupt;God-investors will soon own the store. 11 Down-to-earth people will move in and take over,relishing a huge bonanza. 13 But God isn't losing any sleep; to him they're a joke with no punch line. 18 God keeps track of the decent folk;what they do won't soon be forgotten. 19 In hard times, they'll hold their heads high;when the shelves are bare, they'll be full. 21 Wicked borrows and never returns;Righteous gives and gives. 28 God loves this kind of thing,never turns away from his friends. 35 I saw Wicked bloated like a toad,croaking pretentious nonsense. 36 The next time I looked there was nothing—a punctured bladder, vapid and limp. 40 God-strengthened, we're delivered from evil—when we run to him, he saves us. "Truth is not just a what but a who." "Jesus answered, 'I am the way and the truth and the life. No one comes to the Father except through me." 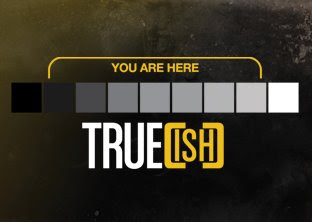 This month, LiveChurch.TV is talking about truth, a word that makes my blood pump, not in a heart attack way. I crave truth more than chocolate or companionship or even Vitamin C, which I'm very fond of. 1. Relativism: assumption that there is no such thing as absolute truth. 2. Subjectivism: I, the subject, have the right to determine what is right and wrong without submitting my judgment to any authority outside myself. I've been so excited about this series that I dreamed Saturday night I was too late to church and missed it. Except..all the sermons are also online so who the heck knows why I dreamed that. It was also the same night I dreamed about meeting Rush Limbaugh and buying a little bed and breakfast in Alaska from a nice, if not chatty, older couple. The first sermon was, by no means, a disappointment. If interested, check it out here. Faith is the moment, however long, between the question and the answer. Mark Driscoll again. But this has been on my mind. Now I want to put it on yours. My roommate listens to Joyce Meyer every day. She climbs into her car, plugs in a ministry CD, and listens to 20 minutes of encouragement all the way to work and 20 minutes all the way back. Then she comes home and tells me about it. I don't do that. I plug in to scripture during Sunday service, sporadically throughout the week, and when something crosses my path. And I have to say, IT ISN'T ENOUGH. These days, I need it 24/7. If I could liquefy scripture, I'd be attached to an IV. With YouTube, I can skip the needle. So as I find ministry shorts, I"ll be posting them. Let me just say this in advance, posting a video does not mean I support or endorse the minister. There are ministers I like, ministers I don't. And I won't get into that. The videos are MESSAGES I like. Nothing more. Here's today's snack: Pastor Mark Driscoll from Mars Hill Church in Seattle. This is his "Ask Anything" service where those in attendance text questions and he answers them on the spot. And the questions are without limits. Awesome. Uh huh. Yeah and all that. Anyway, I'm a firm believer in taking every day off possible. So I'm gone today, planning on spending the entire day with family and being extravagant, which means window shopping with no credit limit. 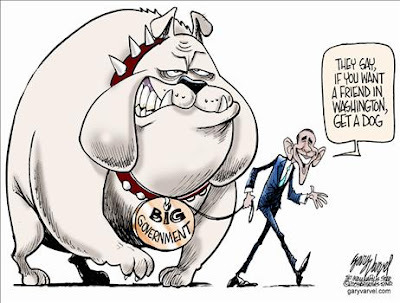 However, since I've officially ended my blogging vacation, I couldn't leave you without at least one Monday laugh from my favorite political cartoonist, Gary Varvel.